Through hard work, never cutting corners, and customer satisfaction we have really became a recognizable name throughout Buffalo. We serve everyone from high profile clients like New Era Cap Company, Ivoclar, Viva Dent, Seneca Casino, several local breweries (including Resurgence), and more, but also work with individuals, small businesses, families, and the likes. I am always being approached in regards to donations and have never said no to any charitable organization or donation request. Because I couldn’t think of a finer group of people to be affiliated with. The fresh air and the fact that my dog doesn’t mind going outside to pee. 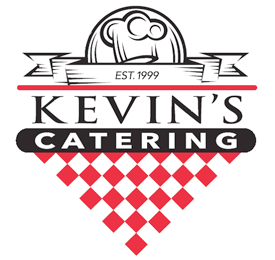 Catering is a timely business and I like the fact that I can be anywhere in Western New York in about half an hour. I am not exclusive to just the Buffalo area and I can cover a large distribution area and be known as a logo that controls all those markets. I am able to get anywhere from Ellicottville, Niagara Falls, Eden, Lewiston, Clarence, Akron, Java Lake, and more every day in a timely manner.